The parties are over. Holidays have wrapped up. Your team is back and ready for another year. You sit down at your computer, mind racing. Last year was a great year… but with a couple of tweaks, changes and a bit of planning, 2019 could be even better! And if you ask us, solar could be the key. 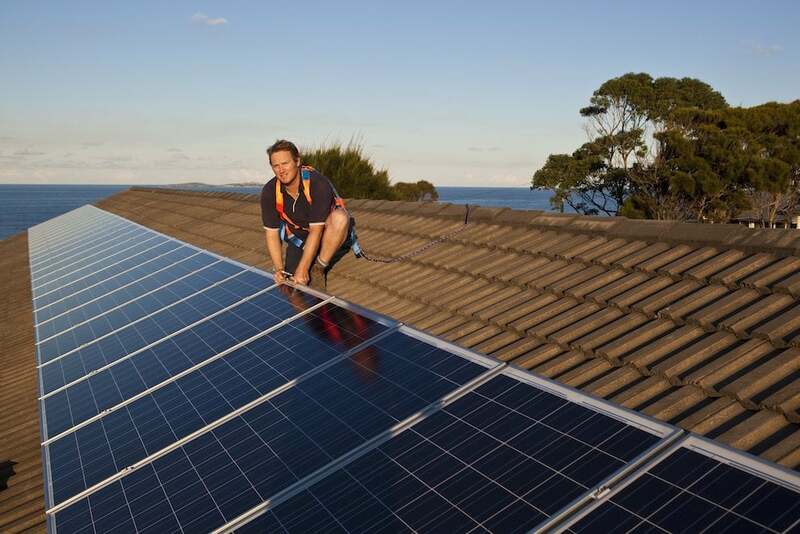 Commercial solar installation has skyrocketed in recent years, with solar panels popping up on the roofs of businesses all over Australia – AND the world! It’s not hard to see why either! According to the Grattan Institute, you can expect higher electricity prices to hang around for a while. And for businesses, that means higher energy bills are the new norm. It’s only natural to want to bring this figure back down – and commercial solar installation holds the answer. By generating your own power, commercial solar reduces your reliance on the grid. The result is a no-brainer – lower power bills. Not only that, but today’s solar panels are a far cry from the panels of 20 years ago, or the solar panel that comes with a pocket calculator. Not only are they more affordable, but they’re dramatically more efficient at converting sunlight into power – and they’re only getting better! It isn’t just your wallet that’ll be thanking you if you go solar – so will your customers! Lower energy bills means fewer overheads. And for certain products, even a handful of cents shaved off the price might be all that’s needed to get a customer to jump ship and change brands. If you operate in a price-sensitive market, this might give you the opportunity to offer your customers a better price. Your savings can be passed on to customers, giving you an advantage over your rivals. Australia leads the world in environmental awareness, with almost a quarter of Aussies reporting their concern over climate change. And for many of these respondents, your green footprint may play a role of a potential customer choosing you or your competitor. On top of saving you money, solar is also an impossible-to-miss sign that you take your commitments to the environment seriously. It’s a powerful marketing and PR tool… especially in today’s climate. One mistake many businesses make is thinking of commercial solar as an expense. Let’s say your solar panels generate more power than you actually need. One option is to go with battery storage and save this power for the future. Another? Feed it back into the electrical grid. Each state has its own system of Feed-in-Tariffs (FiTs). Essentially, these are an incentive put in place to boost the supply of energy on the grid. With these incentives, you could see your solar panels making back their upfront costs faster than expected. For most businesses, solar is a nice thing to have. In other cases however, it’s an essential part of their redundancy plans! Imagine you run a business like a warehouse where you can’t afford to have operations stop. For these businesses, blackouts and electrical outages are one of the worst things that could possibly happen. Commercial solar installation is also a great choice for businesses that are based in rural and regional areas. Australia’s a big country – it could take hours, even days for your energy provider to send a technician out to repair faults. Luckily, commercial solar installation helps out. Solar panels and battery storage provide a backup source of power, ensuring that your operations can continue in both these cases. And unlike generators, they pay for themselves (see above). If your goal for 2019 is to take your business to the next level, commercial solar installation is something you’ll want to put serious thought into. Luckily, Pacific Solar is here to help. Our team of solar experts specialises in commercial solar power. We lead even the largest and most challenging solar projects, making us the perfect choice for businesses all over Australia. Take control of your business expenses by going solar this year. 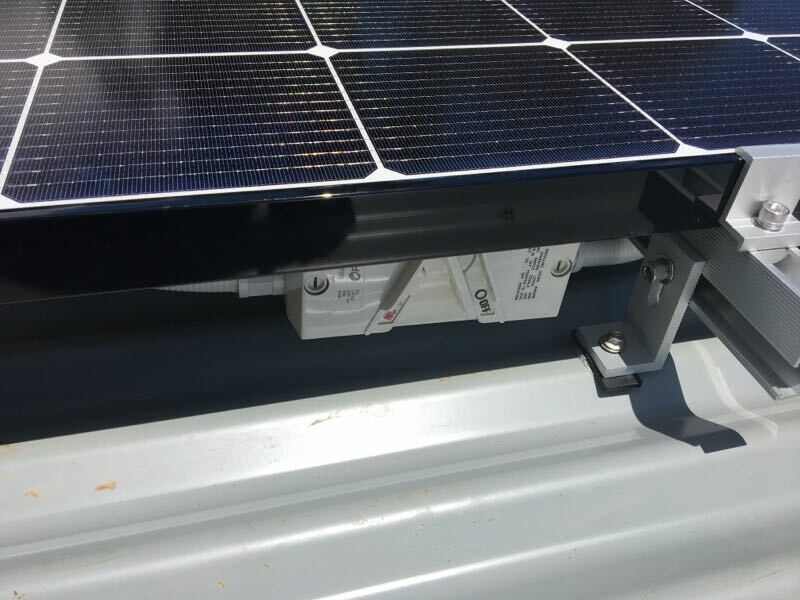 Give our expert team a call on (03) 9532 3836 or fill in the form to see how commercial solar installation can help you in 2019!